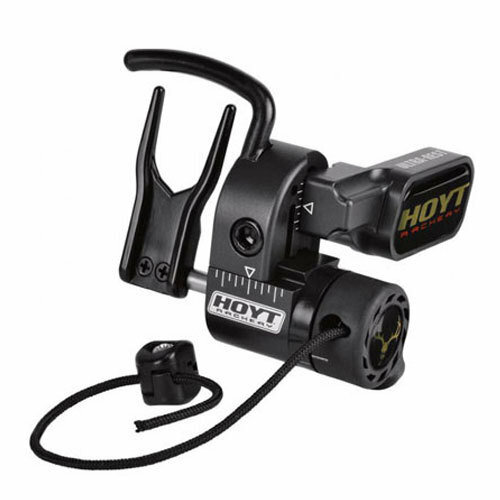 The Hoyt Ultra Rest features a Hoyt patented design for a zero-tolerance lock down on Hoyt bows. With the best of both worlds, the Hoyt Ultra Rest provides for total arrow capture to keep your arrow in place while in the stand or making a stalk, and complete drop away for an interference-free shot for maximum accuracy. Comes standard with multiple launchers for various arrow sizes. High Quality Anodized Finish.